There are SO many options for stuffing, or dressing as my grandma would say. Oyster, corn bread, nuts, berries, dried fruit… all of these have their merits but none of them belong on my holiday table. 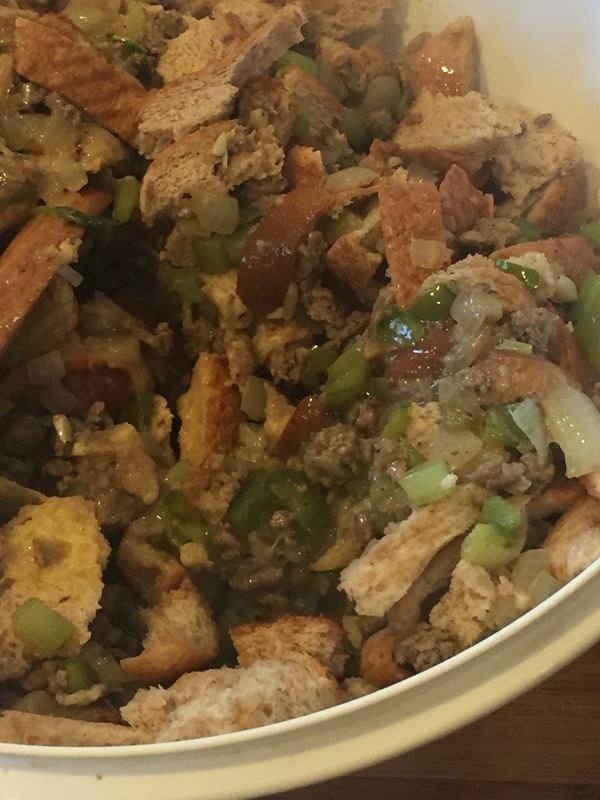 I LOVE my grandma’s stuffing! It’s very simple. The flavors are earthy and sage filled, no bells or whistles, just a hearty classic American stuffing. 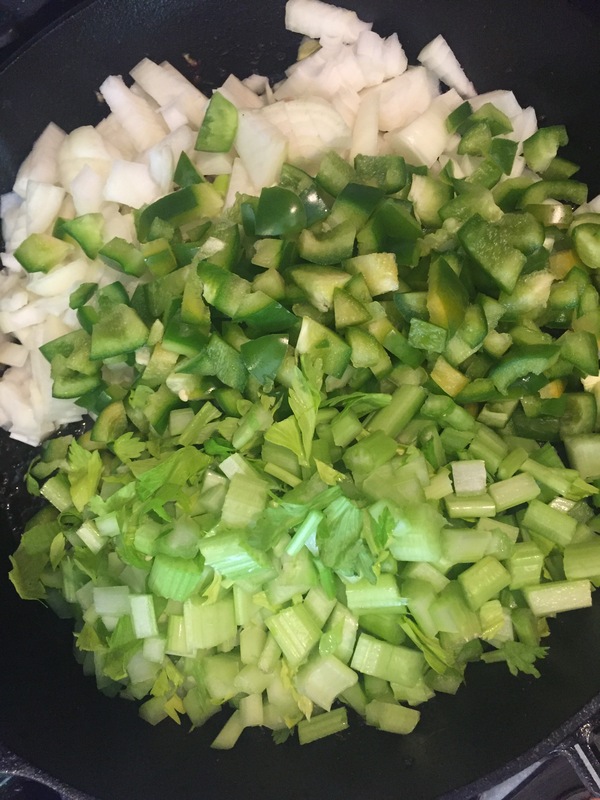 As a child, the clump of bread cooked with bell peppers and onions was not at the top of my list. My go to was the jello salads and mashed potatoes. Kids are so lame! They pass over the best stuff! At some point in my teen years, my grandma said “why don’t you like that dressing? That was my mama’s recipe.” So, I took a small spoonful to please her. Little did I know, that spoonful of bready goodness would turn that dish into one of my Thanksgiving must haves. 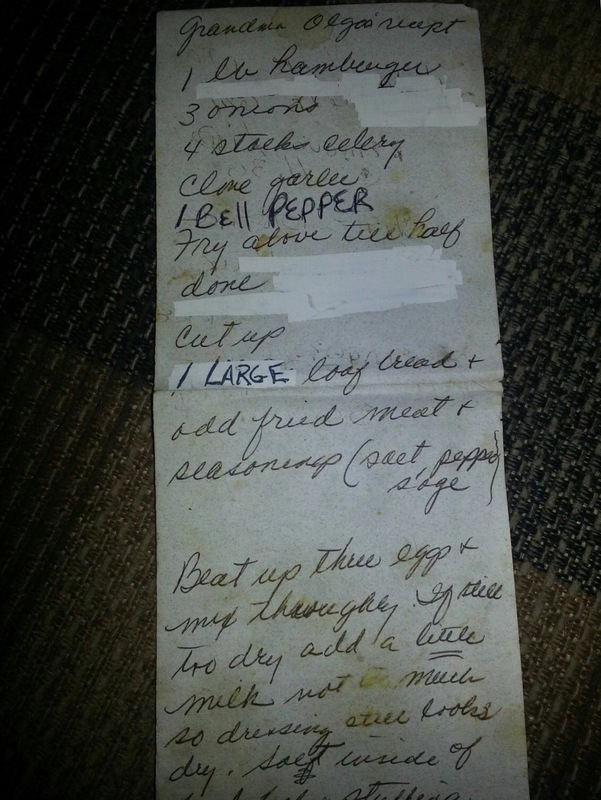 I am fortunate enough to have the recipe in both my Great Grandma Olga’s handwriting as well as my beloved Grandma Pat’s. That small thing, their handwriting, makes it even more special. 1 pound ground beef or turkey, I prefer turkey. 1 loaf of bread. White or wheat sandwich bread is fine for this, ideal even. This is not a dry stuffing. So, stay away from crusty bread or croutons. Rip the entire loaf of bread into small pieces into a large mixing bowl. Set aside. 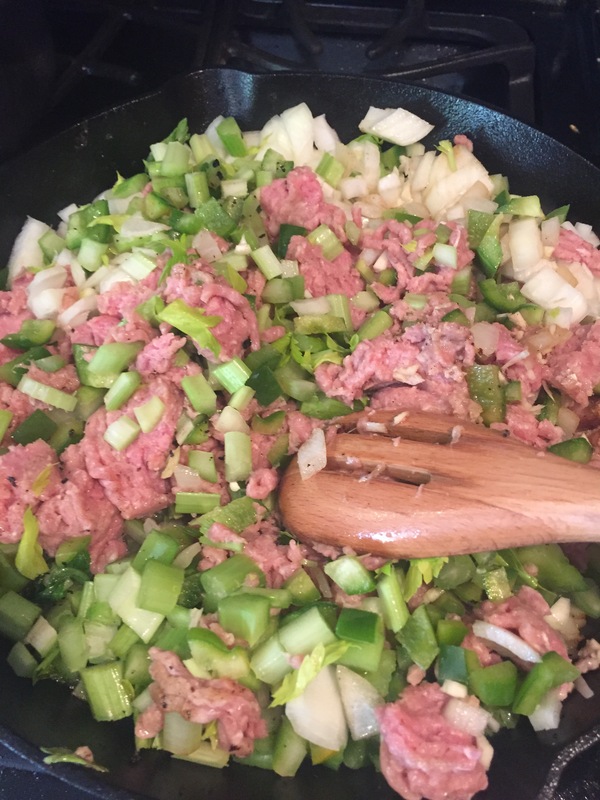 In a large skillet, fry the ground meat, onion, bell pepper, celery and garlic until the meat is cooked through. Add sage and salt and pepper to taste. Pour the contents of your skillet over the bread pieces and combine. All of the liquid that has accumulated should go onto the bread as well. Pour the beaten eggs in and thoroughly combine. It’s best to use your hands here. Really smash all of this together. If it seems dry add a bit of milk a couple tablespoons at a time. You don’t want it sopping wet but not dry either. Carefully dump into a greased 9×13 and bake it for 30 minutes at 375 degrees. 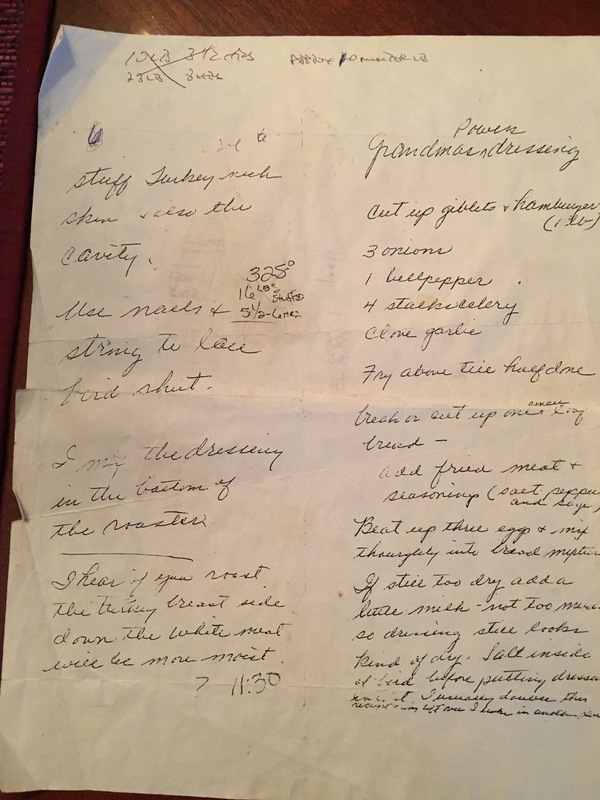 I hope you will enjoy this wonderful and old recipe with your family as much as I do with mine. Swearing Mom out.